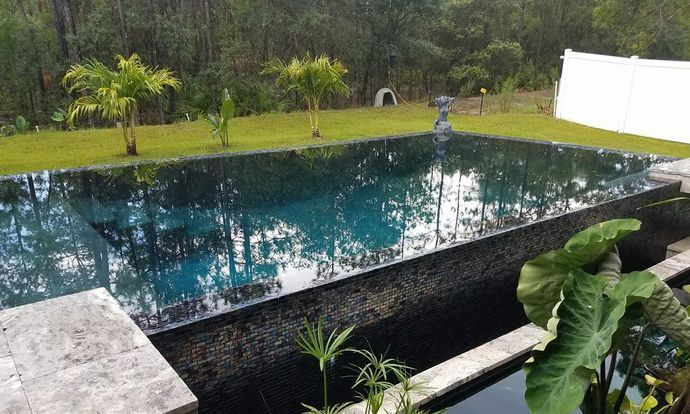 Create Your Tropical Paradise In Your Own Back Yard With Tropical Pools. 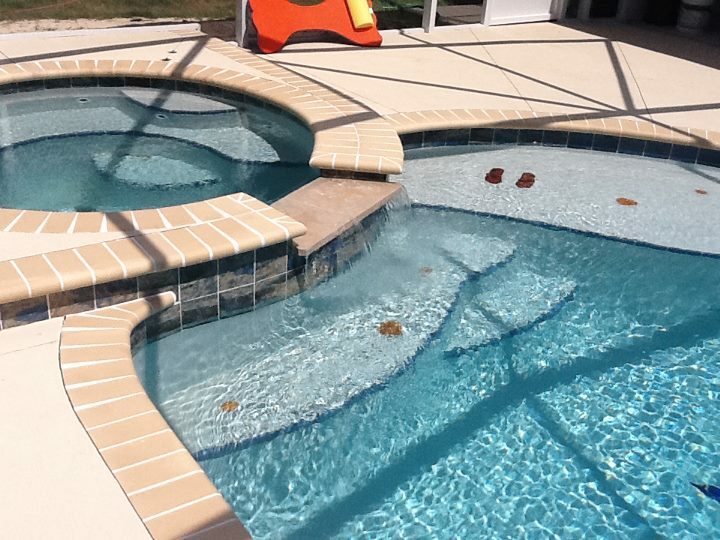 No Cookie Cutters Here! 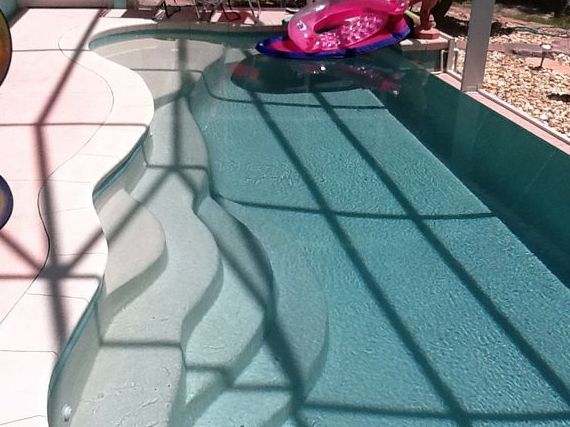 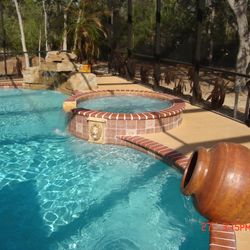 - Every pool is custom made for your individual likes & needs. 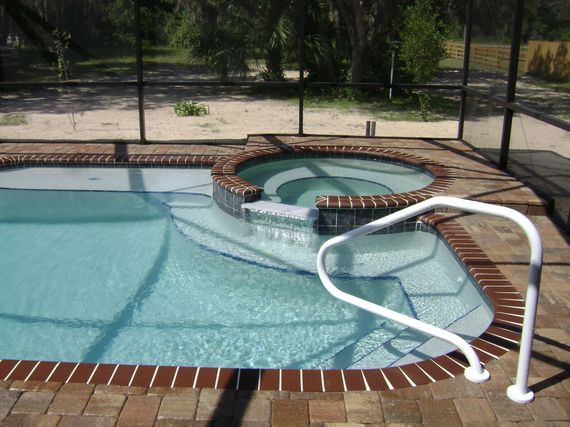 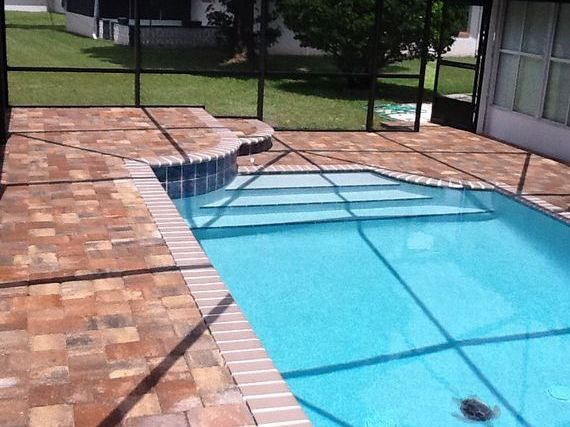 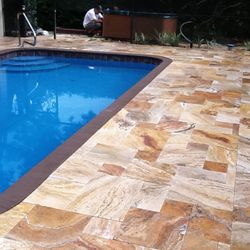 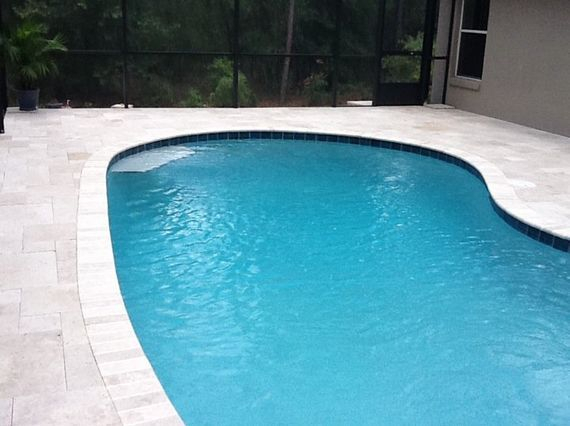 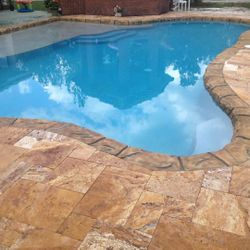 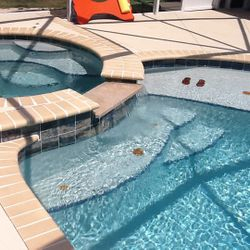 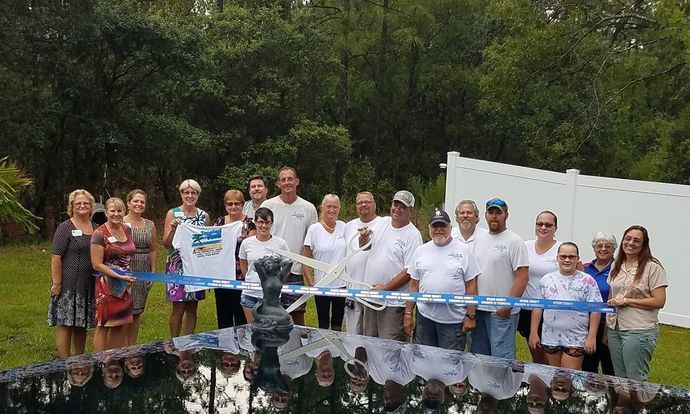 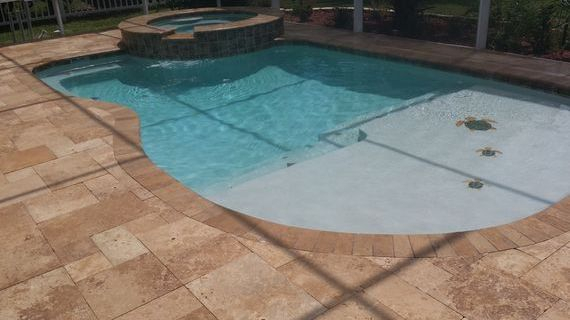 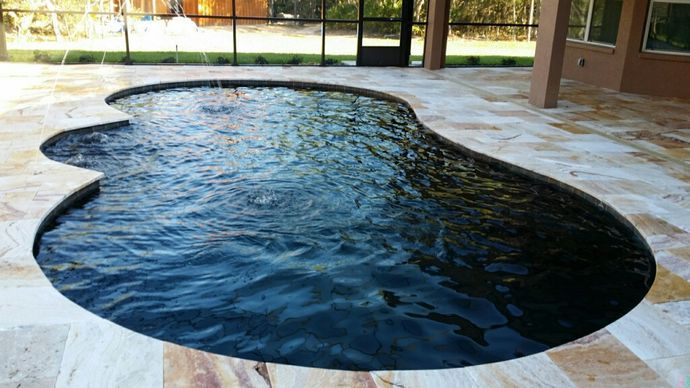 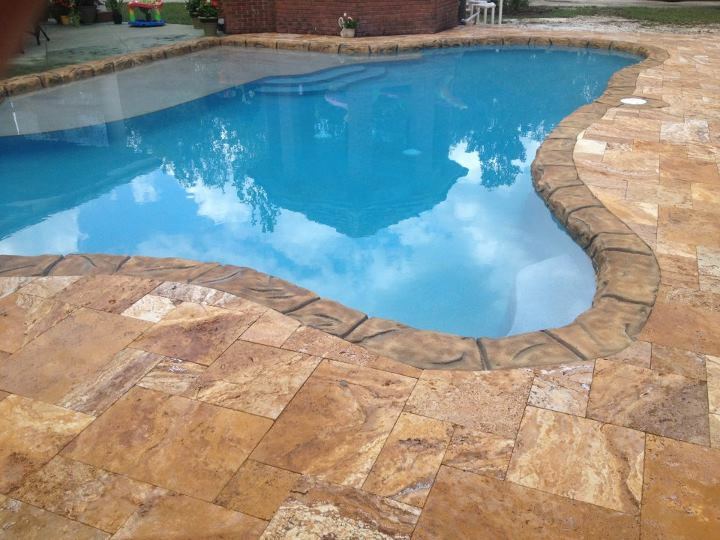 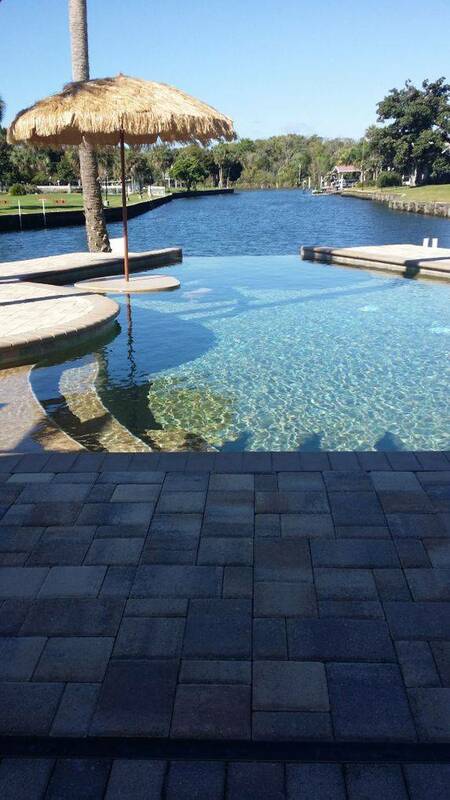 Tropical Pools of Central Florida LLC offers over 50 years experience in buliding and remodeling residential pools, resort pools and custom grattos in Florida, the United States, and other countries. 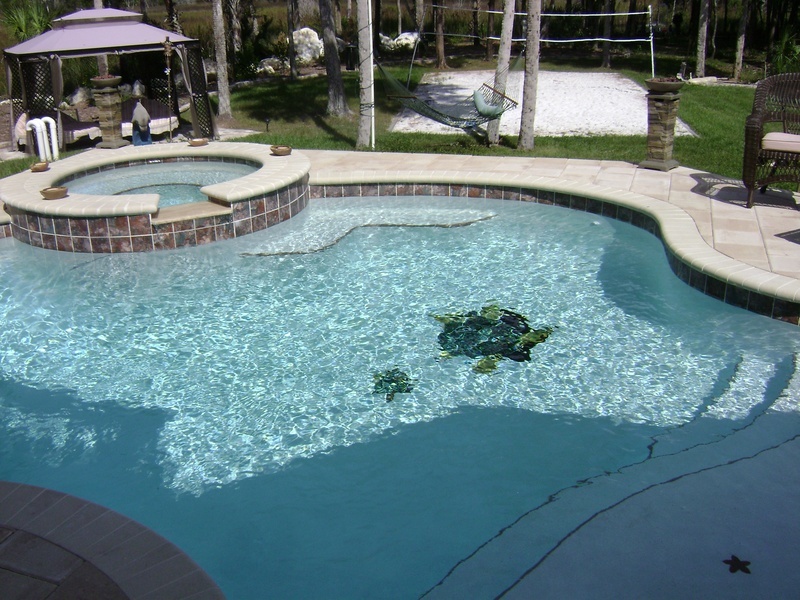 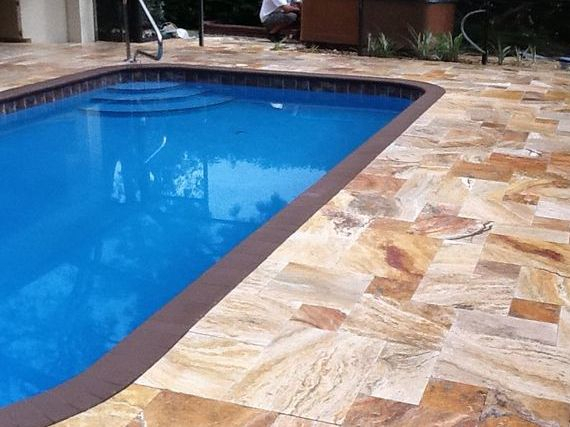 Our history of satisfied customers will tell you, "Tropical Pools builds quality pools that last for decades to come." 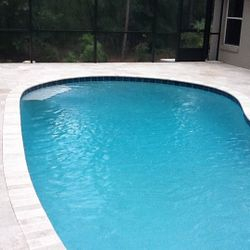 Free Form Pool With Paver Brick Coping & Attached Spa With Spillover .